Organizations are frequently tempted to modify and adapt their Agile approaches as they become more experienced. As they then try and expand Agile use into other areas, or as they look for ways to integrate Agile and traditional project execution approaches they realize they are facing some unintended consequences. 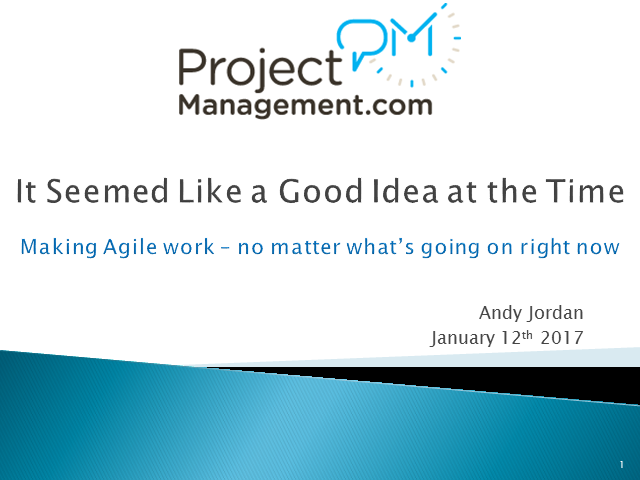 Join Andy Jordan, ProjectManagement.com as he discusses how best to look at options for enhancing or modifying Agile at your organization and how to ensure you aren’t causing future problems. This session is approved for 1 Project Management Institute (PMI) PMP Credit.